In Hinduism, mankind is responsible for maintaining the ‘energy balance’ of the universe. This responsibility is fulfilled every day with the ritualized offerings prepared for all the various aspects which God manifests. When Hindus offer their offerings and prayers, God’s universe is re-energized and continues it’s existence unaltered. To not fulfill this responsibility is to bring disaster down upon ourselves and our world. 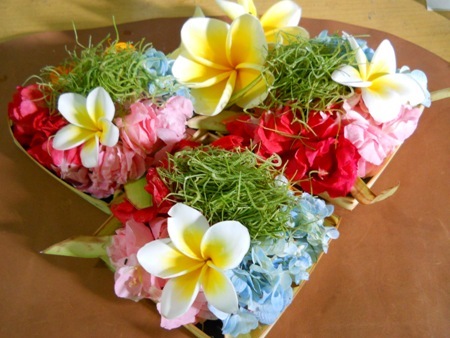 Over hundreds of years, the Balinese women who create the daily offerings have crafted numerous, elegant arrangements from the natural bounty of Bali’s forests and farms. Spend two hours with us while we introduce you to the craft and the cultural-bounty that is Balinese ‘canang’- daily offerings.